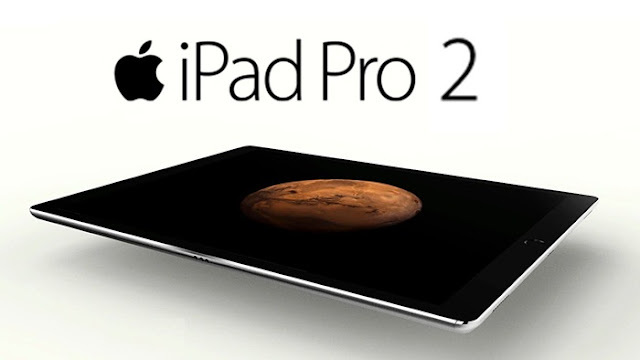 All you need to know about Apple iPad Pro 2. Coming Soon! Apple has always been one of the most popular tech companies across the world as they remain busy almost throughout the year with the release or launch of a new electronic gadget. Taking a cue from that fact, it can be stated that Apple hits the headlines of the news from the world of technology more often than many other tech companies which are based out of the different parts of the world. And this is not something that is new to the tech enthusiasts who keep a close eye on the proceedings in this part section on a regular basis. Like any other occasion, this year also we have a number of new gadgets which are waiting in the pipeline to be released. And we are already into the second quarter of the year, but there hasn’t been any confirmed news regarding the gadgets that are going to come out from the leading tech company in the world which is based out of Cupertino in the USA. However, there is no lack of rumors regarding what are the devices that we might see from Apple before 2017 comes to a close. And Apple iPad Pro 2 is definitely one of those. There have been constant debates going on around in the online as well as the offline media regarding the release date of the Apple iPad Pro 2. Most of the experts are of the opinion that the device is going to hit the market very soon. It could be as early as in the month of June when the Worldwide Developers Conference (WWDC) is going to be held at San Jose in the United States of America. But there are also rumors that the device will be unveiled during the event which Apple hosts in the month of September. And quite interestingly both the possibilities have chances of turning out to be true. So at this point in time, all we can do is wait for the official announcement to be made from Apple for that will ensure when the next generation tab from Apple will be available for the consumers. There have been quite a lot of rumors going on around in the market regarding the specs and features of the Apple iPad Pro 2. Many might not eventually turn out to be true in the end, but there are many which actually come with the launch of the device Apple iPad Pro 2. One such feature is going to be the processor of the device. It is believed that Apple iPad Pro 2 will come with the Apple A10X chipset under the hood and that will certainly make the device much more efficient than its predecessors. Also, the tablet is going to run on iOS 11 operating system. So definitely there are going to be new things that the users of the tabs from Apple haven’t seen yet. But with quite a lot of time to go before we can get the first glimpse of the Apple iPad Pro 2, we can expect new things to come in the device. And before the device gets launched all that we can do is simply wait and keep an eye on the developments that are taking place in relation to the Apple iPad Pro 2.